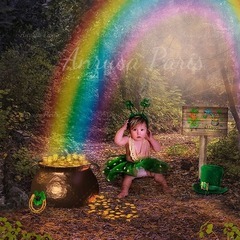 St. Patrick's day digital background, full of magic. 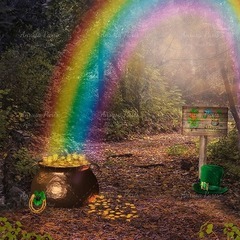 Enchanted forest, pot with coins, sign saying "happy St. Patricks day" , leprechaun hat and golden horseshoe. The arrangement of the elements allows you to insert a sitting or standing model, and also to cut the scene later, in case you prefer a rectangular size. 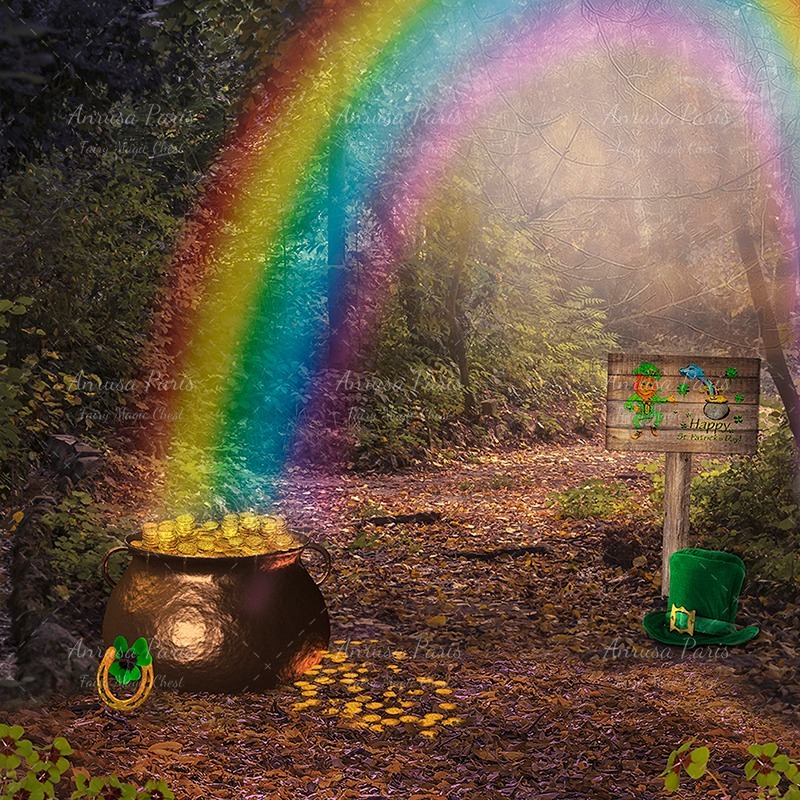 You can get separately the St. Patrick's day elements as png on transparent background in the "Overlays section".